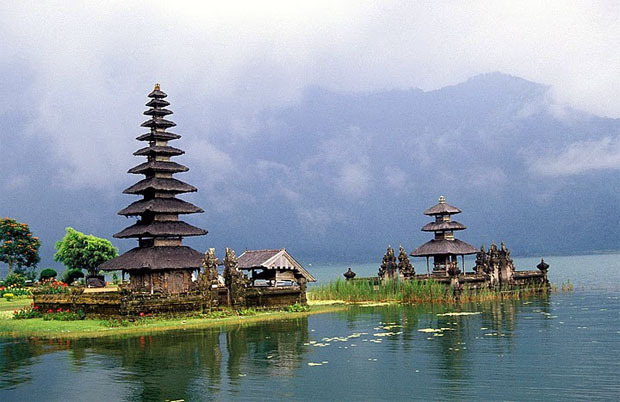 Paradise on Earth – Bali is one of the most popular tourist destinations in the world. Home to the tiny minority of Hindus in Indonesia, Bali city has plenty of temples, beaches and fantastic entertainment to keep visitors entertained. The small island has a fantastic culture of the performing & visual arts, a leather and metal-works industry along with the host of tourist-oriented facilities. Bali has a tropical climate to go with its location near the equator. The summers (May to September) are quite dry and hot, with temperatures touching almost 300C. There isn’t any “winter” season as such, with October to April being wet and rainy months. The maximum temperature doesn’t change much although the air is more humid. 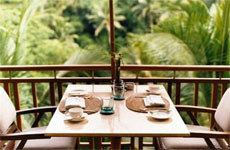 Bali is known for its various visual art forms that include painting, sculpting, handcrafts, woodcarving and much more. Their tradition and the Hindu mythology is a major influence on their art, even the performing arts. Their fabulous array of dances, such as the Pendet, the Legong, the Baris and more, have wowed audiences for decades. There are thousands of paid-performances, every month, at temples, private theatres and even public shows. 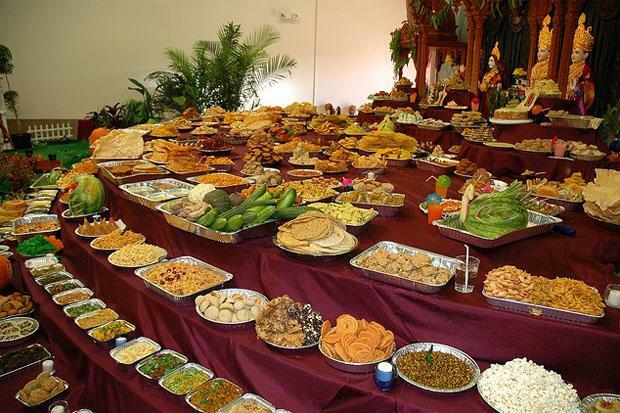 The Hindu New Year, celebrated in spring, is a time to stay indoors. The New Year day is preceded by fantastic festivities as well as parades of the Ogoh-ogoh monsters’ puppets which are later burnt in a massive celebratory ceremony. Bali’s temples are unique in their design. They depict a massive Indian influence in their art and have courtyards within the compound. These courtyards are the primary locations for these performances although only in cases when the ceremony is intended for the Gods and humans together. In cases when public shows are organized, the events happen outside the temples. Bali city is a tourist haven with people from all over the world converging to this fantastic island. For those interested in religious places and medieval and ancient architecture, there are plenty of temples around the island. The island also has some incredible beaches as well as fantastic restaurants that offer local as well as Indian, Malayan and Sri Lankan cuisine. The influx of people who’ve settled down in Bali city, has been key in creating this varied influence of different cultures on this tiny island. The Viceroy Hotel is a member of the “Small Luxury Hotels of the World” and is a fantastic little resort that combines the Bali cultural and heritage experience into one fabulous stay. There is a wonderful staff at the Viceroy Hotel with a fantastic eye for detail and a great deal of care in the service. The hotel is situated in the Petanu River Valley, and offers villas to its guests as rooms. The view from the villas is absolutely gorgeous, with the river gorge spreading out below it. The hotel is surrounded by forests, gorges and terraced paddy fields that make it a extremely easy on the eyes. The 11 luxurious villas at the venue have swimming pools and are extremely private. There are plenty of places for guests to stroll as well as a fantastic spa, a wonderful award-winning French restaurant and a well-stocked wine cellar. Situated along Jimbaran Bay, the Intercontinental Resort offers a fantastic view of Bali’s sandy beaches and luxurious landscape. Surrounded by lovely white sands, the hotel has some beautiful private gardens and ponds that enhance the experience at the hotel. 418 rooms with all modern amenities, including a spa bathroom, put the Intercontinental Resort amongst the top options for staying on the island. Add to that the six swimming pools, a well-equipped fitness centre, plenty of water sports and tennis, and you have a well-rounded hotel that makes staying in and going out equally pleasurable. Natural beauty and beautiful beaches are two of the key features that separates Nusa Dua from the rest of the island. The place is also home to the Conrad Resort and Spa, the ideal location to enjoy this fabulous natural Eden. A few miles from the international airport, the Conrad Resort and Spa is right next to the beach as well as to various local landmarks such as the Uluwatu temple or the Goa Gajah. The hotel offers 360 rooms, most of them designed in extremely different and unique themes. There are many swimming pools & lagoons in & around the hotel, with water sports on offer. The hotel has also got a well-sorted business centre & conference rooms, all equipped with the latest technological gadgetry required to carry out all forms of business. The Spa and fitness centre remain the main attraction at the Conrad Resort and Spa, dragging tourists from all over the world to its doorstep.